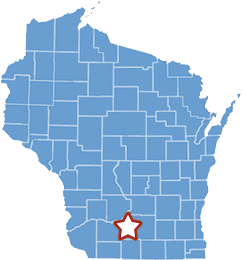 The Town of Blue Mounds is a municipality governed and regulated by State Statutes, Chapter 60. The Town Board consists of the Chairman and two Supervisors, as well as a Treasurer, Clerk, and Town Constable. The Board is elected in the odd-numbered years for a two year term. Nominations are by caucus, held in January of the year, with the election taking place in April. For purposes of making Board decisions, it should be noted that only the Chairman and Supervisors are voting members of the Board. An annual meeting is held each April and a budget meeting is held in November. At these two meetings, all citizens vote on matters before the Board. Special Town meetings may be called as needed. The Town Board meets every month, generally on the second Monday of the month at 7:00 p.m. at the Town Hall. All meetings of the Board are open to the public. The Town Board is called upon to make decisions regarding land use, according to our Land Use Plan, established in 1980. In order to have additional expertise on these decisions, a Land Use Committee makes recommendations based on the Plan and their actual site visit to the land in question.